A nice gold, a little goes a long way! 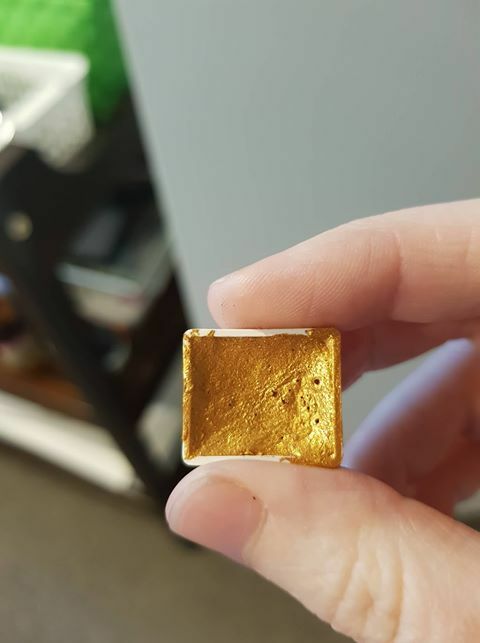 This mica gold did not disappoint. I ran out of another gold mica powder and used this and it was just the right one for a top pour for my gold watercolour. This mica powder is stunning, I use it as a highlighter and it works like a charm. I totally recommend this if you need something really shiny and beautiful.